Dubai: The Dubai Duty Free Tennis Championships, which saw Roger Federer winning his 100th ATP crown earlier this month, promises to come back with top field next year. The Association of Tennis Professionals (ATP) announced its 2020 ATP Tour calendar last week, featuring 63 ATP tournaments across 29 countries in addition to the four Grand Slams, and Dubai has managed to retain its place during the eighth week of the season. The 2020 season will kick off with the inaugural ATP Cup — a new team event that has been strategically integrated into the calendar to serve as a major curtain raiser to the ATP season. The ATP Cup will take place as a 10-day event simultaneously in three Australian cities — Sydney, Brisbane and one additional city to be announced in due course. The players’ team event, held in partnership with Tennis Australia, will feature 24 countries competing for $15 million (Dh55 million) in prize money, the biggest prize purse of any ATP tournament on the calendar, and a maximum of 750 ATP Rankings Points at stake. 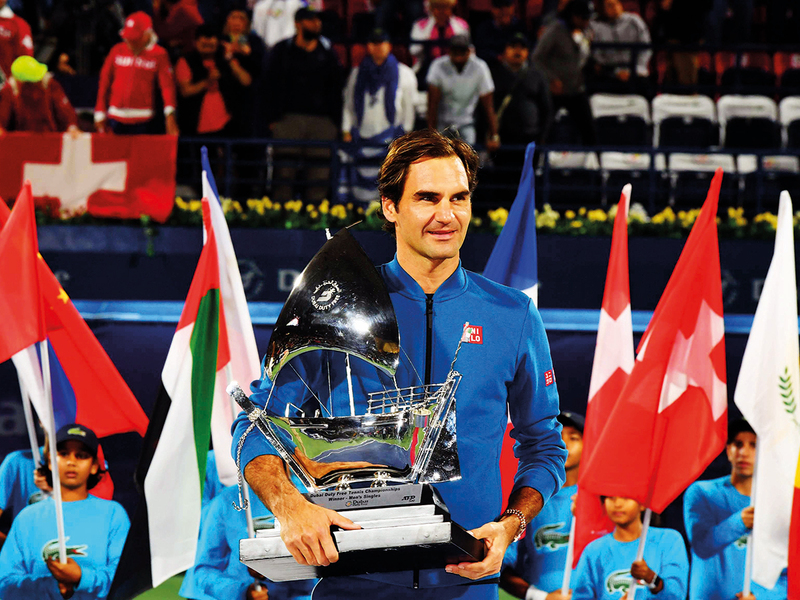 With Dubai retaining its position in the eighth week of the season alongside Acapulco (Mexico) and Sao Paulo (Brazil), Salah Tahlak, Tournament Director of Dubai Championships is confident the tournament can continue to attract some of the top names — starting with reigning eight-time champion Federer who has already been contracted to play next year. The 2020 edition will see the WTA event starting on February 17, followed by the men’s from February 24-29. “Nothing changes for Dubai as we are still in the same week as before. With the first Grand Slam of the season [Australian Open] getting over, we normally see the established stars making a strong start while there are always new players coming through. All this works to our advantage and we will continue keeping an eye for all the best players to play in Dubai — more so because our tournament is supposed to be one of the build-ups towards Expo 2020,” Tahlak told Gulf News. “Traditionally, we have always targeted the top-10 or the top-20 players to play in our event. This year witnessed a historical finish when Dubai’s favourite Roger Federer went on to claim his 100th career title. This has further put the limelight on Dubai and we will stay committed to delivering the best field as always,” he promised. With the 2020 Olympic Games scheduled to be held in Tokyo in July, the ATP has made certain shifts in events on the annual calendar. While the Doha Open will start the season from January 6, the ATP 250 event in Pune, India has been moved from the first week to Week 5 alongside Montpellier and Cordoba. The ATP 250 event in Sofia (Bulgaria) has also moved from Week 5 to Week 39, alongside Chengdu and Zhuhai in China. The season will culminate with the celebration of the 50th anniversary of the Nitto ATP Finals, first held in Tokyo in 1970, as The O2 in London hosts the season-finale for a twelfth consecutive year from November 15. “The Olympic year is always tricky as far as the scheduling goes. The ATP has made certain adjustments on the 2020 calendar, and luckily Dubai has not been affected as we retain our place,” Tahlak said. “Everyone is particularly excited with the hosting of the first-ever ATP Cup for teams as this competition will bring in a new dimension to the game,” he added.